I am passionate about finding ways to keep your whole class engaged as you use your smartboard or projector. This resource is sure to be a HIT with your students! The "whack-a-mole" theme is fun and motivating. 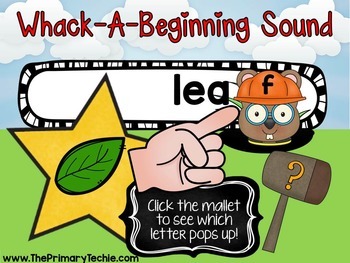 Sound effects and animations will keep your kiddos focused and engaged. Make simple mallets for your class using pool noodles and pencils and let them whack mats to choose their answers. 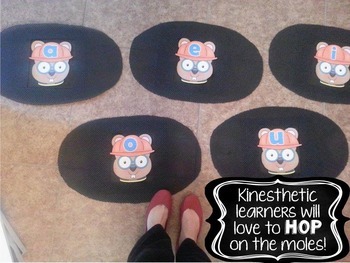 For even more kinesthetic fun, make large mats for students to stomp on. This set includes 30 slides focusing on ending sounds. They show a picture and a word with the last letter missing. Click on the mallet and a mole will pop up with the missing letter. Students will engage with the PowerPoint by whacking the letters on their own mats. There are printable mats and directions included. I am currently working on a variety of other skills that will be added to growing bundles. 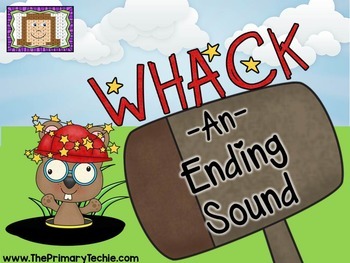 Whack-A-Kindergarten Grade Reading Skill. Click here to check it out! 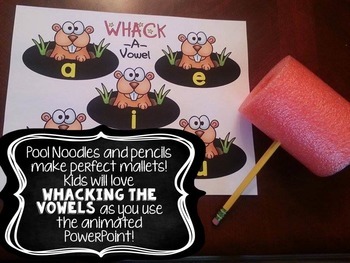 Whack-A-1st Grade Reading Skill. Click here to check it out! Whack-A-2nd Grade Skill. Click here to check it out!